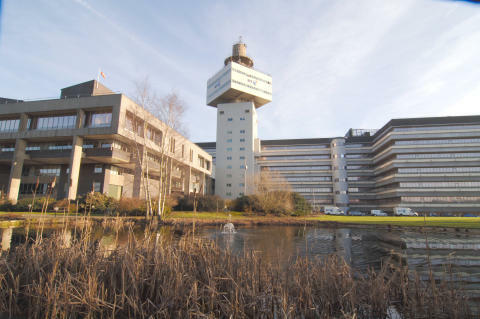 BT announced today that it has built the UK’s first practical quantum-secured high-speed fibre network between Cambridge and the BT Labs in Adastral Park, Ipswich, in a collaborative project led by the Quantum Communications Hub, part of the UK National Quantum Technologies Programme. Constructed by researchers from BT, the University of York and the University of Cambridge over the past two years, the “ultra-secure” connection, secured by the laws of physics, was built as part of a project co-funded by the Engineering and Physical Sciences Research Council (EPSRC), and will connect to the Cambridge Metropolitan QKD Network being launched tomorrow in Cambridge. 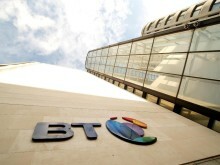 The quantum-secured link runs across a standard fibre connection through multiple BT exchanges over a distance of 120km, making it the first high-speed ‘real-world’ deployment of quantum-based network security in the UK. The network link, which is capable of transferring 500Gbps of data, will explore and validate use cases for Quantum Key Distribution (QKD) technologies. This will include how the technology can be deployed to secure critical national infrastructure, as well as to protect the transfer of critical data, such as sensitive medical and financial information. The quantum link itself is said to be virtually “un-hackable” because it relies on the use of single particles of light (photons), to transmit data encryption ‘keys’ across the fibre. Should this communication be intercepted, the sender will be able to tell that the link has been tampered with and the stolen photons cannot then be used as part of the key, rendering the data stream incomprehensible to the hacker. The partners are using equipment from ID Quantique to transmit the data encryption key using a stream of single photons across the fibre network. In parallel, the encrypted data flows through the same fibre, powered by equipment from ADVA optical networks. The fibre runs from Cambridge University Engineering Department’s Centre for Photonic Systems via quantum ‘repeater stations’ at Bury St Edmunds and Newmarket before making its way to the BT Labs in less than a thousandth of a second. 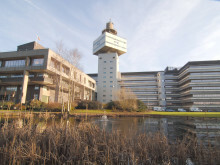 The link is a joint initiative of BT and the Quantum Communications Hub, led by the University of York - one of four Hubs in the UK National Quantum Technologies Programme.The Hub is a collaboration between eight UK universities, private companies, and public sector stakeholders that have common interests in the exploitation quantum physics for the development of secure communications technologies and services. Professor Tim Whitley, BT’s Managing Director of Research & Innovation said: “With the huge growth in cyber-attacks across the UK, it’s more important than ever before that we continue to develop ways to protect the most critical data.